At Demorgenzon, the slopes rise up to 400 m above sea level with the ocean as a backdrop. Rather than refer to their vineyard as ‘mountain’ terrain, they prefer to be known as ‘garden vineyards’. In Spring specially chosen wild flowers flourish between the vines. They have no doubt that a bio-diverse and ecologically sensitive environment produces infinitely better grapes. To add to the beauty of the landscape, Baroque music is piped through the vineyards as it is believed that the power of music positively influences the ripening process. Deep, purple core with wide, bright, bluish tinged rim. Rich, ripe, berry fruit nose with lots of ripe, red plum. Some floral notes in the background including violets and spring blossoms. Rich and full in the mouth with tremendous youthful vigour. 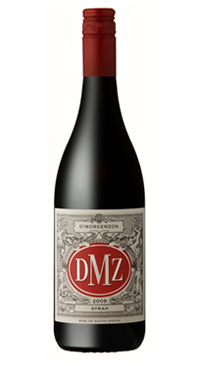 Layers of berry fruit with developing spice including pepper, cinnamon and vanilla. Oak hardly shows yet it must have done it’s job to have such elegance and roundness at this early age. Very attractive now yet loads of development potential.